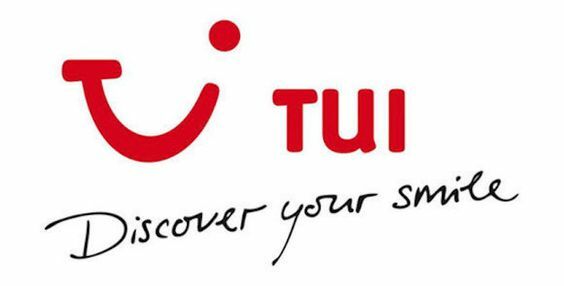 Thomson holidays is now called TUI (tui.co.uk). Holidaymakers probably won’t notice much difference but there are benefits to this change! One of the main ones is that they are offering some superb TUI voucher codes and promos to help you fall in love with their new brand. If you are looking to book with TUI in 2018 then you should make sure you use a discount or TUI voucher code to save you money. Get 10% off your online TUI booking with this TUI promo code for 2019. Access this deal to save money on your next holiday. Getaway for just £127 with these last minute deals. There are hundreds of holidays to choose from so browse and find the right one! Have a summer holiday in 2019 for just £217 per person with these TUI discounts. Claim the deal before all the holiday places go! Save up to 10% When You Book Online at TUI – Book Now! We have a made a quick video (embedded below) to help guide you through TUI 2019 coupons, discount codes and vouchers. Watch and share the video to those who may also want to save money on TUI in 2019! If you are looking for inspiration then check out our top 5 European city breaks list or browse our city break guides. We always suggest to holidaymakers to check for the latest holiday deals and voucher codes for TUI here at Breaks. Our team of dedicated deal finders and travellers will be listing discount codes, promotional codes, offers and vouchers for TUI (Thomson holidays) throughout 2018 and beyond. If you are looking to save money on TUI holidays and TUI Flights then look no further! It is easy to add a voucher code or promo code to your TUI order. Simply enter the code when prompted on the checkout screen and you will get a revised and discounted price. You will be able to see how much you have saved from your TUI holiday. Don’t forget to bookmark breaks.com and subscribe to the email list for exclusive travel deals and offers. We check our TUI promo and discount codes every day to make sure that they are still working. Please let us know if you notice any they aren’t working for you! TUI have also designed a range of different holiday groups to make sure there is something for everyone! Take the hassle out of holiday planning and let TUI guide you to the perfect city or beach break. If you are looking for luxury then TUI Sensatori and TUI Sensimar is a great place to start. Holidaymakers who want to experience more and have adventures while on holiday, TUI Robinson and TUI Blue are for you! Whatever type of holiday you are looking to book, use a TUI voucher code to save money on flights, hotels and transfers. Happy holiday’ing! It isn’t too late to book a summer holiday flight deal for 2018! If you are planning further ahead then TUI flights for 2019 have been released so you can grab an early discount. TUI flights are available from 21 UK airports and they can take you to 70 destinations worldwide directly. Find your preferred airport and see the best flight options for you and your family. Use this “Where we fly” tool from TUI to find your holiday route. Cruise lovers love TUI! You can cruise all over the world and join cruises that last a few days or weeks on end. Marella Cruises from TUI are extremely popular and one of the most popular routes is the Canaries with prices starting from just £546 per person. If you want to cruise in 2019 then you can see the sailing schedule when it is released on April 5th 2018. We will have TUI cruise deals and vouchers throughout the year so check back regularly for the latest promotions. See the latest Marella Cruises discount codes to save money on your next sailing adventure. You can find free kids’ places with their handy search feature. Find a free child place on a TUI holiday for 2019 using this tool. What does TUI stand for? You can get in touch with TUI (Thomson Holidays) on Twitter and Facebook. If you want to pick up a brochure or speak to a travel agent face-to-face then you can walk in to a TUI store. Search for your nearest TUI store here. Do summer differently, with a trip to Italy’s dramatic Dolomites ⛰️ Find out more at tui.co.uk.